Last week while I was working, I looked up and was struck by the change in the sunlight coming in through the blinds. I realized it was the start of autumn, and the itch to travel took hold. The next few weeks are the perfect time to hit the road for a New England expedition. The weather is crisp, but not so cold your breath freezes into a block of ice, and above all else the leaves are turning, and it’s beautiful. To get the full experience of the autumn in New England, stay away from big cities, and instead take the rural route. 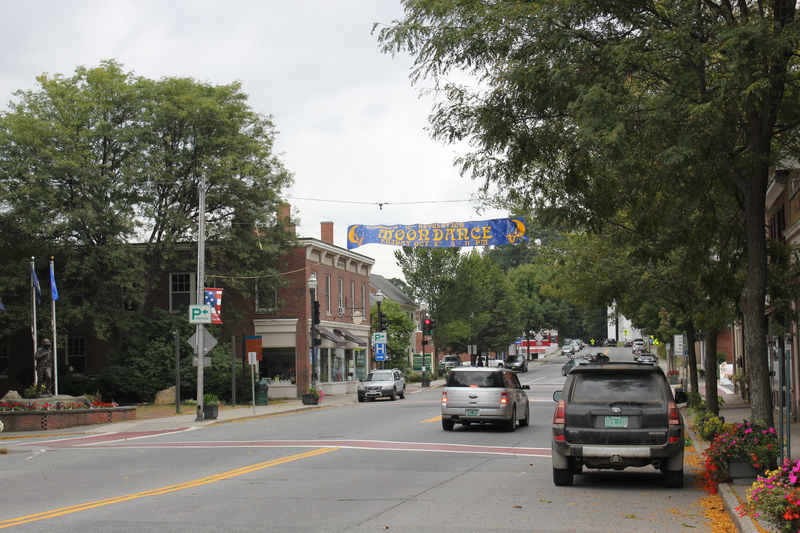 I’d suggest you center your trip around the picturesque town of Windsor, Vermont, former haunt of J.D. Salinger. There are several airports in the area, but fly into New York City or Boston. Once you arrive, you have two options to get to Vermont. You can rent a car and drive and, once you are outside of the cities, let the beauty of the landscape entertain you. It’s a two-hour drive from Boston, and roughly four hours from New York. If you’d rather leave the driving to someone else, take the Dartmouth Coach. The buses pick you up at Logan airport in Boston, or in front of the Yale Club in Manhattan. Arrange for a bus ticket before your planned departure for both. The buses are not your typical coaches. Large, leather, “first class” style chairs with plenty of leg room, drinks, snacks, and movies, make the trip fly by. The buses drop off at Dartmouth University’s campus, and in Lebanon, New Hampshire, where a rental car can be obtained. From both, Windsor is just a quick twenty-minute drive. As you make your way through Vermont, it quickly becomes clear that Vermont is, well, different, but in the best possible way. Billboards are not allowed and their clutter isn’t missed. Quickly, you’ll start to wonder why they’re up in the rest of the country. McDonalds’ are also hard to come by. In fact. Windsor had one, but it went out of business a few years ago. Windsor is small, and accommodations are limited. There are no chain hotels. Instead there are bed and breakfasts, the Juniper Hill Inn and the Snap Dragon Inn offer alternate, more personable accommodations. If you prefer a hotel, though, the surrounding towns do offer more traditional accommodations. If you are in town on the right weekend in late summer, you may even get to experience the “Moon Dance” street festival. Either way, as the day ends, go for a stroll around town and see the longest covered bridge in America. Wake up early this morning, because there’s so much to do! Make your way outside of town to Mount Ascutney State Park. Drive up the mountain to the parking lot and then hike up the rest of the way to the top, enjoying the foliage and the amazing views of Vermont. After your hike, head back into town for a home-style breakfast at The Windsor Diner, a throwback dinning experience, complete with bar seating and stainless steel style exterior. When you’re finished, cross the street over to the Constitution House, and see where the state of Vermont was born. Windsor’s nickname is the “Birthplace of Vermont” after all, and no visit to the town would be complete with out it. It’s a quick, but interesting guided tour. Then head down to the other end of the street and walk through The American Precision Museum – a most unique museum experience. The entire museum is dedicated to early industrial machines. When I visited, there were several local high school students working in the museum, learning machining skills, which is a terrific use of the facilities for them and for the tourist that venture through. For a late lunch or early dinner drive over to the Harpoon Brewery and Restaurant, where UFO beer, a favorite of mine, is made (try the UFO White). The food is upscale pub fare, but always good, and in a warm, yet hip environment. Harpoon has proven to be quite the recruiter of tourism for Windsor, holding several sizable events throughout the year – bike races and bar-b-que cook offs to name a couple. Next door, you can do a bit of shopping at the Simon Pierce glass factory. Behind the brewery is a strange, enduring piece of folk art that you have to experience to truly appreciate. It’s called the Path of Life Sculpture Garden. A local man has spent the last 15 years working on this, and has created 18 works of art that essentially represent all of the phases and major events of person’s life from birth to death. The power of this garden is that the emotional impact is one that “sneaks up on you.” By the end, I found it to be very moving. Perhaps you are looking for something a bit more rugged in town? Take a walk through Paradise Park. It’s a wilderness park just on the edge of town that offers several lovely wooded trails to meander along. Hop in the car and head out to Farmway in the nearby town of Bradford. This store is deceiving, to be honest. From the outside, it’s a simple farm supply store, but once you are inside the vast array of merchandise offered is clear. Yes, farm supplies are there, but so are Patagonia and North Face clothing, shoes and boots, work clothes, furniture, and even food and kitchen products! Just when you think you have seen everything, around corner is another branch of this sprawling store, full of deals waiting on you. If you haven’t gotten your entire shopping fix worked out, head over to the Antique Mall in Quechee, and rummage through stall after stall of yesteryear. Next door is the Quechee Gorge, a deep, yet beautiful slice in the landscape, complete with a bridge to walk over for those who aren’t afraid of heights. From here, make your way to the King Arthur Bakery Company to select from the huge number of baking mixes and other products they have for sale, and the delicious assortment of baked yumminess available. Then drive down to Hanover, New Hampshire and walk around the quaint town and Dartmouth University’s campus. When you think about college academics in the fall, surrounded by trees and students rushing to class, it really doesn’t get any more picture perfect. 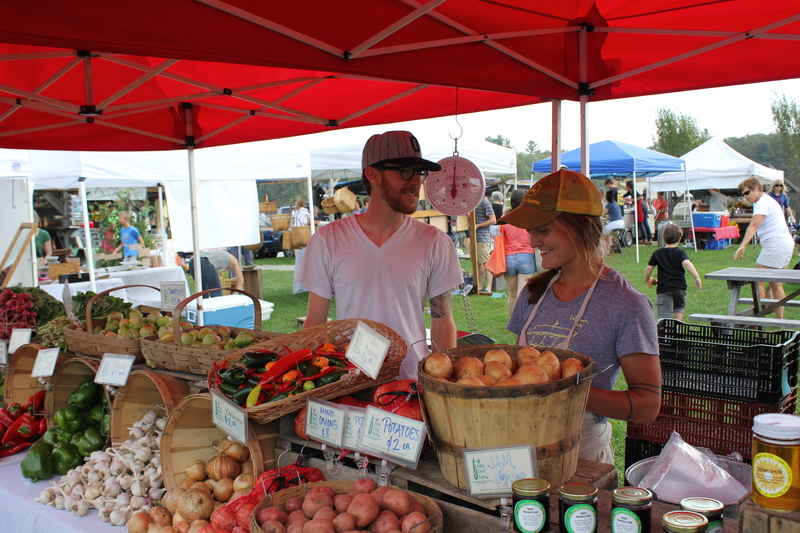 If you are there on a Saturday, you might be able to also squeeze in a trip to the nearby Norwich Farmers’ Market to sample the local cheeses, fruits and vegetables, and even some homemade syrup! You can’t say you’ve been to Vermont without a healthy dose of syrup running through your veins. If you need to get a quick gift for someone, I’d suggest making a run to local store and picking up some of the maple syrup candy or cookies that are sold in the area. The idea of these may sound strange but, by God, they are delicious! Every adventure must come to an end, and today is the day to head home. It’s difficult to gauge what the traffic will be like going into Boston or New York, so allow yourself plenty of time to make the journey back and to the airport. Vermont is such a special place, with a beauty and character that has to be seen (and tasted) to be believed. That’s “The Windsor Diner”, not “Dinner”, as you head south on Main Street past the bronze status of the soldier, it’s on the left, just past the auto parts store. For more worldly tastes, there’s Miriam’s, just opposite that status, which serves great African cuisine. That’s next to Yummy Yummy’s chinese restaurant. Pizza Chef is almost opposite the Diner and has great pizza and other Italian dishes. Higher-end meals are available to Juniper Hill Inn, though it’s best to call ahead first.